Who doesn’t like to sport a neat look during summers? Here are season-inspired 8 chic hairstyles to try! The ripe mangoes are stocked up in the fridge, camisoles and shorts are out of the closet and the temperature is soaring rapidly – summer is finally here! 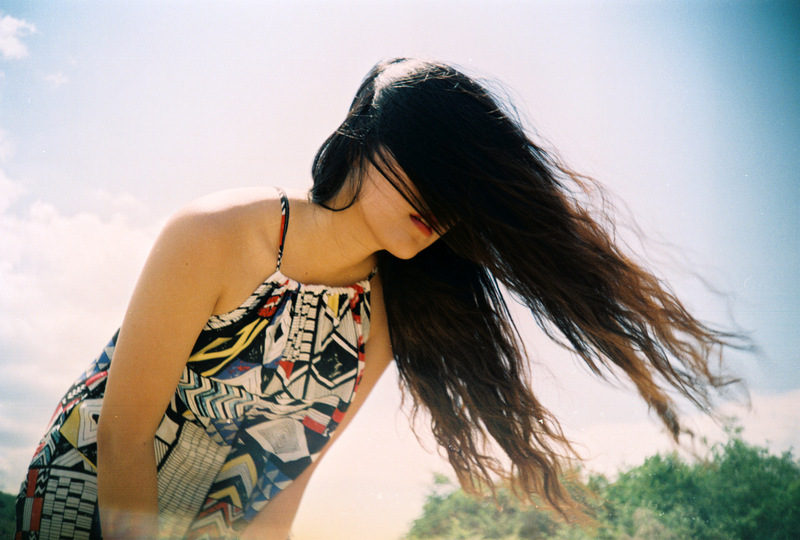 But along with the gorgeous warm weather there is also the need to discover some new hairstyles that will lift the hair of your neck and prevent it from getting sweaty. But rather that just tying your hair up casually, how about trying out some cute new hairdos that will keep you cool while your style meter sizzles? Take a look at these 8 easy hairstyles you can try to keep the hair off your neck this summer and still make heads turn. Give the traditional ponytail a twist, literally. All you need to do to achieve this casual style, is part your hair into two sections and actually knot it at the back. You can loop it just once or knot it twice or thrice depending on your personal preference. 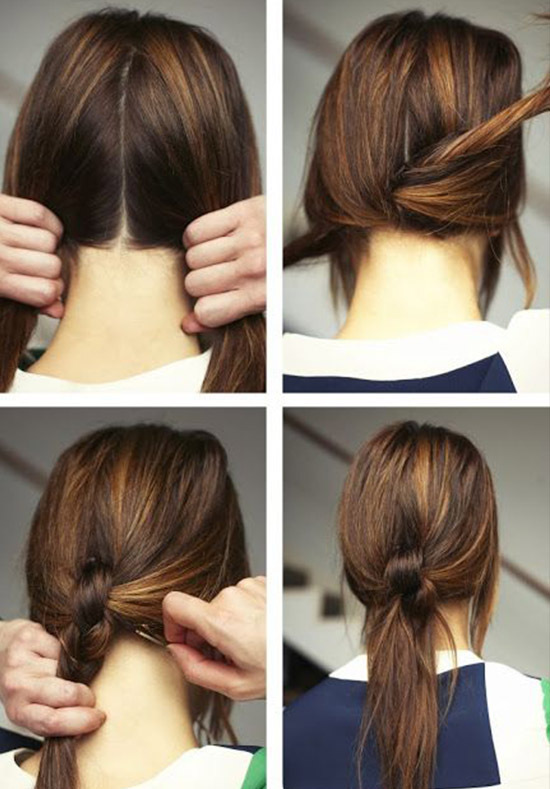 This is a great way to keep your hair from sticking to your neck and still look effortlessly chic. 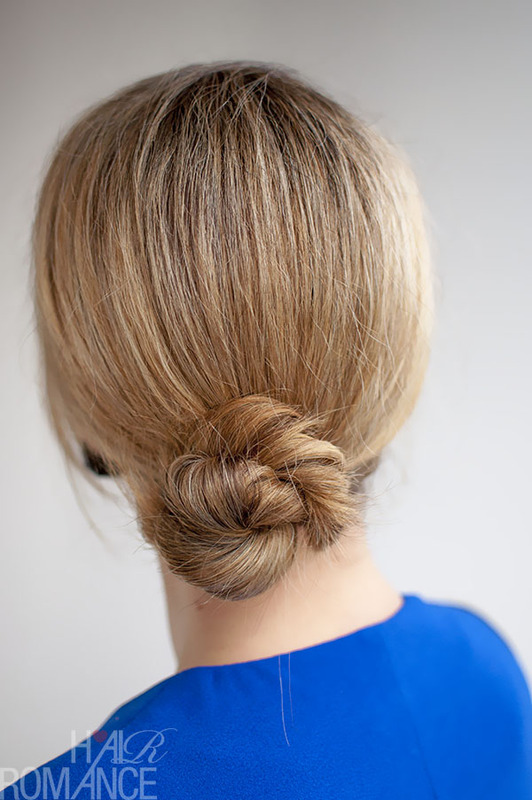 For a more sophisticated style, you can try a twisted low bun. Unlike a typical hair bun where you would roll the hair back and pin it up, here you take smaller sections of hair and twirl them around so that they create thick twisted section. Then, just roll these sections back and pin them up with a stylish accessory for an easy yet professional look. For a classy celebrity style, sweep all your hair to one side and braid a large part of your hair leaving some strands loose at the crown. After you are done braiding, take the sections from the crown and backcomb them a little to give it some volume and then sweep them over to create a side partition. Just spritz some hairspray to keep your locks in place and head out the door to your afternoon classes. This style is a combination of the twisted bun and the loose braid. Twist a large section of your hair and pin it back into a bun, this time pinning it higher than the nape and lower than the crown. Then, using the loose strands at the crown, backcomb them and sweep them over to one side before setting them with some hairspray. This is a flirty look that is perfect for a summer afternoon date. Start by backcombing your hair at the crown and then tie it up in a messy bun at the back. The backcombing will add a little volume at the center of the head. Then, create the illusion of bangs by sweeping the hair at the crown from one end of the forehead to behind the ear on the other side and secure it with a cute headband. Channel your inner fashionista and opt for a messy top knot for your party at the club. When you know you have a night of dancing ahead of you, there is bound to be some hair sticking to a sweaty neck. To avoid this situation altogether, just gather all your hair at the top of your head and hold it as though you are about to tie a high ponytail. Then just twist the hair around your thumb and secure the end with an elastic band to get this glam high fashion look. Go retro with some pigtail braids this summer! Part your hair right down the middle and start braiding each side right from the crown. This spunky look will have you feeling comfortable all day long. Start by backcombing your hair at the crown to give it some volume. Then twist a section of the hair from both sides starting just above the ear. When you have twisted sections from both sides, bring them to the back and gather the rest of your hair as well as these sections into a ponytail with a stylish hair tie. If you are finding it difficult to manage it all, just pin up the twisted sections at the back one by one and then pull it all into a ponytail. It’s a perfect look for a summer picnic in the park with your besties.